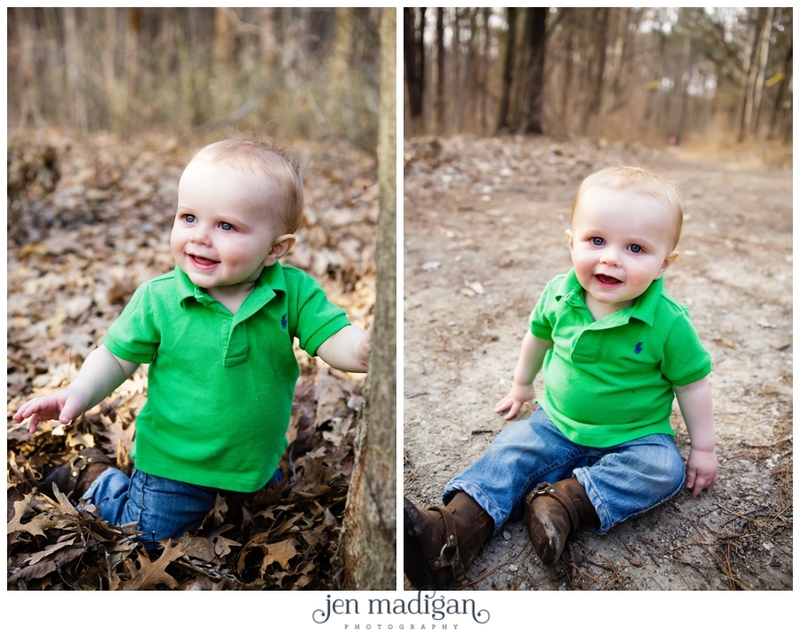 Mac is a new client, but I had so much fun hanging out with him last Saturday evening. 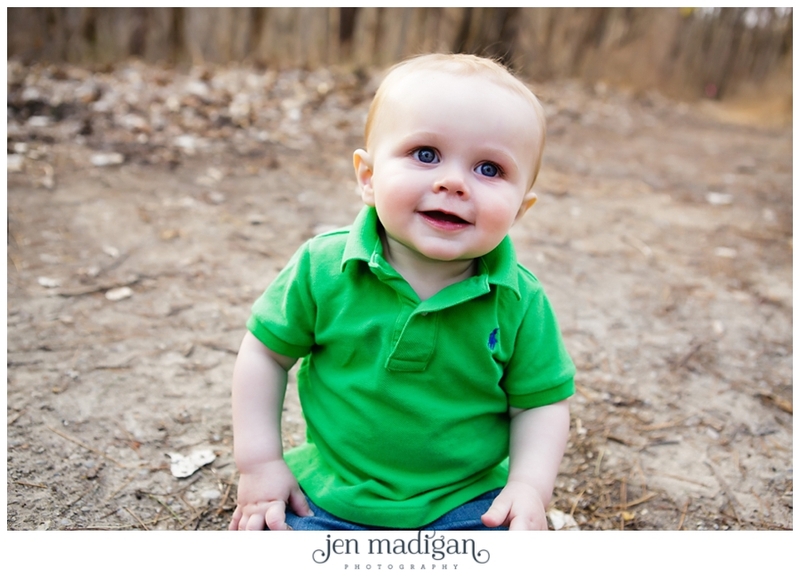 He just turned one, and so we documented the occasion out at Squire Point. 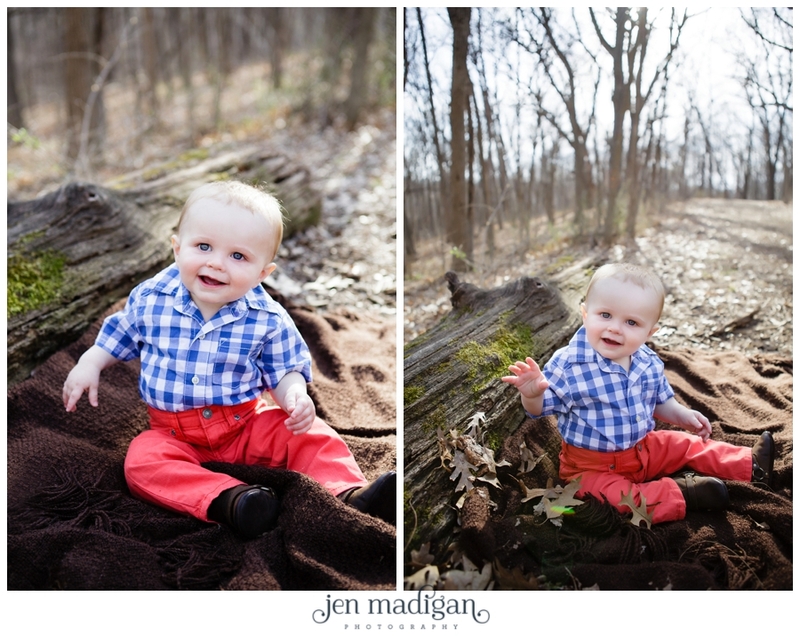 Although we are still awaiting more green on the trees this spring, Mac brightened up the woods in his adorable outfits. 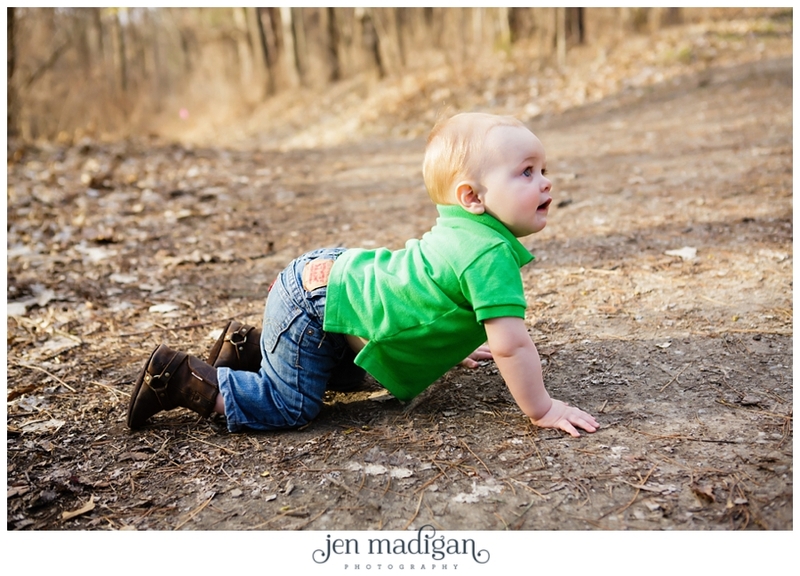 This little guy is curious, and is crawling up a storm. 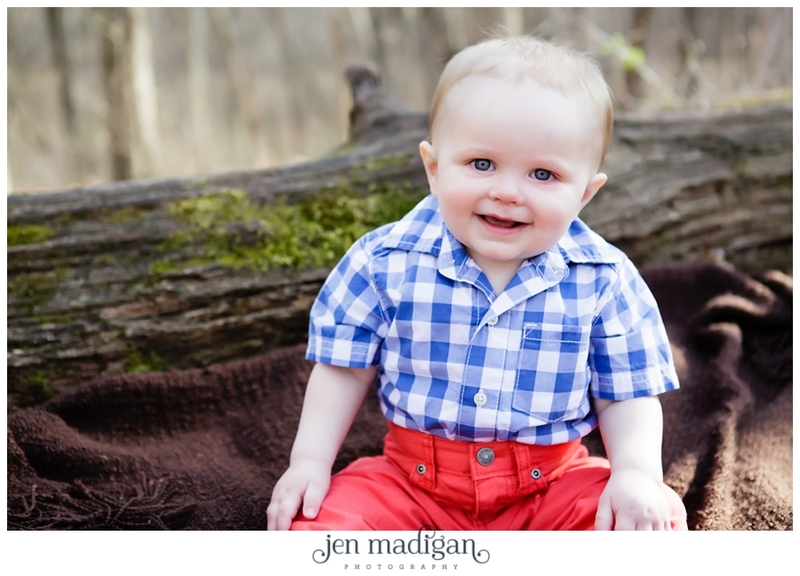 I love his big smile, and those blue eyes...he's going to be a heartbreaker! Molly, Ezra, and Mac - It was wonderful meeting you all! 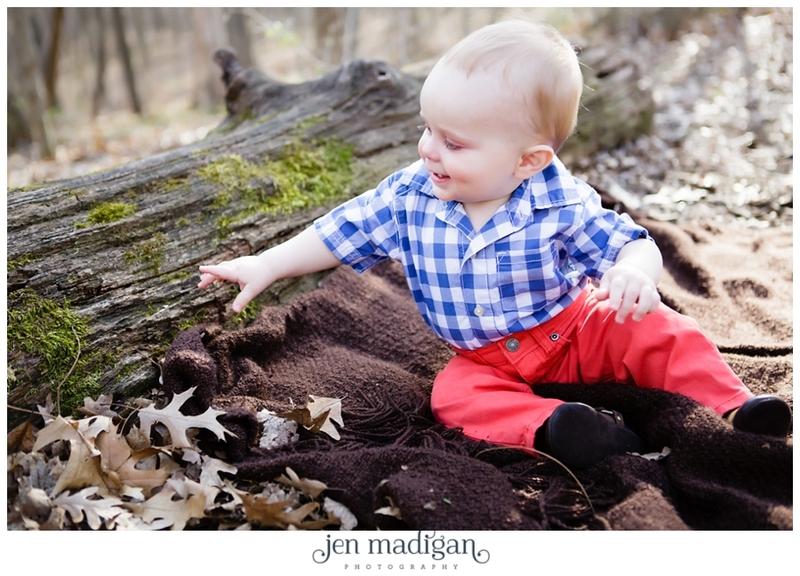 I had a great time at the session, and I hope you enjoy the sneak peek!